Through our four and a half decades of experience, we are aware of the preeminent concerns business owners face in running a company. From providing health insurance in the most cost-effective method, to reducing employee benefit costs and finding a capable successor, you require dynamic solutions and an experienced financial partner who understands what keeps you up at night. Many business owners are concerned with the fiduciary risks and liabilities of implementing a retirement plan. We work closely with you to determine appropriate 401(k) plan options, as well as Profit Sharing Plans, Cash Balance Plans, IRAs, Pension Plans, and ESOPs (Employee Stock Option Plans). Also, we can illustrate non-qualified plans and connect them with your business’ other qualified retirement plans to create appropriate solutions while mitigating risk. Offering a competitive executive benefits plan can attract and retain key executives. We help employers determine and implement appropriate plans, such as executive bonuses, deferred compensation, salary continuation, and supplemental executive retirement plans (SERP). Providing quality, affordable healthcare coverage is a significant challenge for many employers. For companies with 100 or more employees, we have unique designs for different benefits packages to help reduce the cost and advise on implementing options that allow for employee cost-sharing through tax deductible contributions. It’s important for a business owner to have a plan for exiting their business, whether it’s selling, going public, or transferring it to a family member. 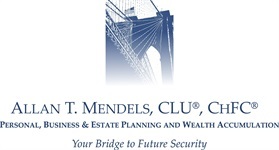 We create a comprehensive exit strategy that helps ensure you have a plan for the unexpected. If you died yesterday, what would happen to your business in the coming days, months, and years? Succession needs can occur before your planned time horizon. We help you calculate your needs as a business owner or CEO, as well as the future needs of your company. Your succession plan can help mitigate taxes, prevent a loss of control over the disposition of your company, and avoid a decline in the value of your business in the event of your death or unexpected disability.